When mucus and phlegm build up in your nasal passages or throat, you feel just plain awful. You might experience a persistent cough, have trouble breathing or feel tightness in your chest. When you come down with a cold, your first thought might be the find the cold medicine in the back of your medicine cabinet, but there are several natural remedies that can help. Ginger works as a natural decongestant as well as an antihistamine. It has powerful antiviral and antibacterial properties that work to strengthen the immune system and get rid of any illness. Ginger also has the power to soothe congestion by drying out excessive mucus. Chew 3-4 raw ginger slices a day or drink ginger tea several times daily. Heat the water in a pan, then add the ginger and peppercorns when it starts to simmer. Cover the pan and let it to boil for 1 minute, then lower the hear. Simmer for 5-7 minutes until the mixture turns a pale yellow color. Strain and add 1 tablespoon of honey. Drink 2-3 times a day to soothe congestion. Honey is a powerful antibacterial, antiviral and anti-fungal that works to soothe an irritated respiratory tract. The high Vitamin C content in lemon gives the immune system a boost to help clear your airway. Put them together and you have a natural cold and cough treatment! In a bowl, mix the honey and lemon juice and stir well. Drink 3 times a day to relieve congestion. Apple Cider Vinegar helps the body maintain a healthy pH balance, which prevents excess mucus production. 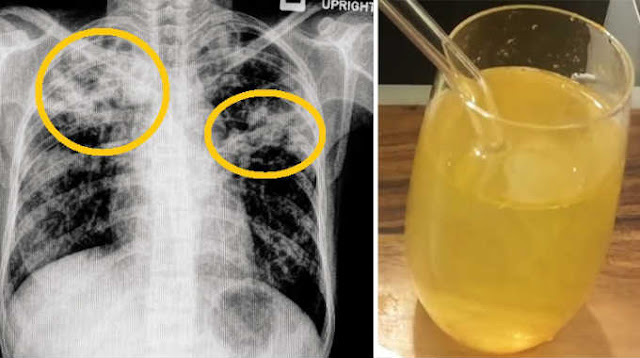 Simple add 1 tablespoon of raw, unfiltered apple cider vinegar to a glass of water and mix. Drink 2-3 times a day to help eliminate phlegm. You can also gargle with this mixture to help soothe a sore throat. Curcumin, the active compound in turmeric, has powerful medicinal properties. It’s able to destroy bacteria in the body that makes you sick! Adding salt to the mix can help fight infections and soothe a sore throat. Add 1 tablespoon of turmeric to a glass of warm water. Add the salt the stir and gargle with the solution. Repeat 3-4 times a day to loosen mucus and reduce phlegm buildup in the throat. Steaming can help clear your airways by loosening mucus and phlegm in the throat. Inhaling steam allows the vapors to travel down your throat and loosen up congestion, providing instant relief. Add 1/2 teaspoon of thyme and the dried rosemary to hot water in a bowl. Lean over the bowl to inhale the steam. Put a towel over your head to allow the steam to go directly to your face.